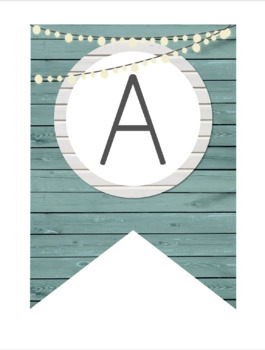 Transform your classroom into a rustic chic farmhouse with a side of charm! 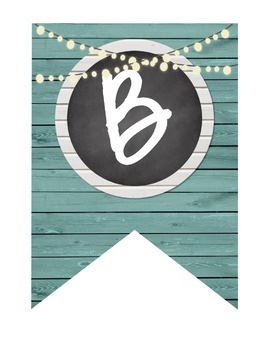 Fill your classroom with teal rustic wood background, shiplap, chalkboard, and cozy lights! 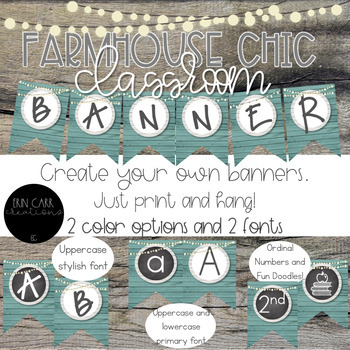 These pre-made banners are easy to print and hang. 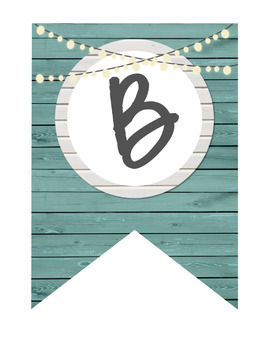 They can be used for welcome signs, bulletin board headers, open house, or whatever you need. Select the letters you need, print, cut out, and hang! Easy peasy! This set includes 2 FONTS! -BONUS! This set also comes with school doodles, ordinal numbers (1st-8th), a hashtag, question mark, exclamation point, and numbers 0-9. ~This set includes a zipped file with two PDFs. The primary font banners and uppercase font banners are in separate PDFs. ~If you have any questions about what is included, please ask before purchasing. ~Please note the product IS NOT to be redistributed, sold, or posted in digital spaces where others may gain access. You can purchase extra licensing to be able to share this product with a colleague.